Sustainable food systems are about conserving natural resources so that we have a healthy planet for future generations, improving public health, promoting community vitality, providing employment and much more. Since all food production has an environmental impact, judging a food system on its carbon footprint or water usage alone is not enough. All aspects of sustainability – environmental, social and economic- should to be viewed together as a whole. Across the UK, consumers rightly love British dairy products for their high quality and great taste. Those same consumers also have a right to expect that the food they buy is produced in a responsible way, helping to safeguard the future for their children. Dairy UK has been instrumental in putting in place a UK Roadmap to reduce the environmental impact of each pint of milk produced, from water use to packaging. We are also helping to encourage plant and animal life at milk processing sites, and to reduce energy use and waste. Under the Roadmap, we strive to ensure that every link in the dairy supply chain works more efficiently to shrink its environmental footprint. Increased recycling rates of plastic milk bottles to 85%. Through our Biodiversity Strategy, Dairy UK has also given members the tools to boost the richness of flora and fauna at processing sites. They also support such schemes in their communities. But sustainability is nothing if it doesn’t work for people, too. Dairy businesses provide jobs in rural communities, heritage and culture, as well as providing a vital pathway to gender equality in many parts of the world. Let’s not forget that dairy products are widely recognised as being nutrient rich, forming a key part of a healthy, affordable diet for billions. The dairy sector helps feed the population of Britain so is key to protecting food security. The Dairy Roadmap is one of the most successful cross-industry collaborations with Dairy UK, the Agriculture and Horticulture Development Board and the National Farmers’ Union working together to deliver the UK dairy sector’s environmental commitments. Download a free PDF of the Roadmap here and see what we have achieved in the last ten years and our future commitments up until 2025. Dairy UK is leading the charge towards sustainability in Great Britain and Northern Ireland, not least by improving the efficiency of dairy processors. In 2008, Dairy UK established Dairy Energy Savings Ltd (DES) to deliver tangible reductions in energy use amongst UK dairy companies. Working voluntarily with the Government, we set ourselves the stiff target of a 22.5% improvement in energy use between 1998 and 2010, which was written into the sector’s Climate Change Agreement. Our members have exceeded the target dramatically. In fact, they were so successful that they have committed to a further 13.6% improvement. DES has so far prevented more than 250,000 tonnes of CO2 from entering the atmosphere. 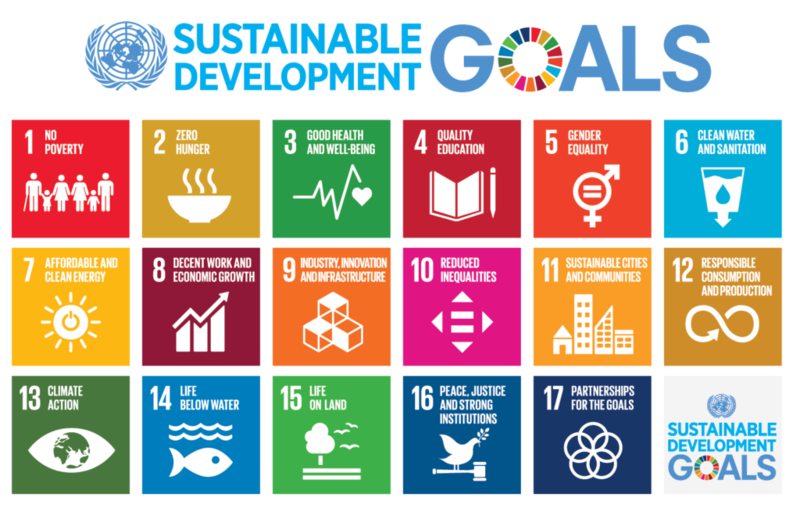 In 2015, the countries of the world adopted the 2030 Agenda for Sustainable Development and its 17 Sustainable Development Goals (SDGs). The 17 SDGs represent calls for concerted efforts towards building an inclusive, sustainable and resilient future for people and planet. Underpinning those goals is the need to recognise three elements: economic growth, social inclusion and environmental protection. The United Nations recognises that these elements are interconnected and all are crucial for the well-being of individuals and societies. On 19 October 2016, the Food and Agriculture Organisation and the International Dairy Federation signed a ground-breaking commitment to sustainability. The Dairy Declaration of Rotterdam recognises the role of the dairy sector in helping to deliver many of the SDGs and commits to the continuous improvement of the dairy sector. The dairy sector is the only agricultural food sector to have made this sort of commitment.